Our latest addition to the CT Health Policy Project Book Club offers very concrete guidance for practices and policymakers working to improve quality and access to care, while holding the line on skyrocketing health care costs. 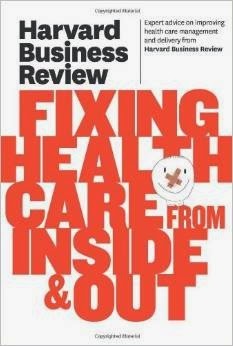 From the Harvard Business Review, Fixing Health Care Inside & Out is a great compendium of health care innovations that focus on improving quality and ensuring that precious, scarce resources are maximized. Helpful lessons that work from the real world include overcoming turf battles in building teams, organizing around consumers’ needs rather than medical specialties, effectively using peer pressure to improve performance, and ensuring that shiny new (expensive) technologies are used appropriately. Authors also describe how the structure of the current system (fee-for-service and beyond) can sabotage great new, simple, efficient ideas.